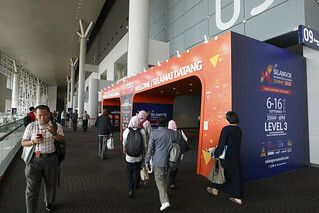 YB Dato’ Mustapa Mohamed, Minister of International Trade and Industry, noted that the Internet of Things (IoT) represents a source of value add for local companies and small and medium-sized enterprises (SMEs), and encouraged the consideration of IoT as a tool to drive growth. He said this during the IoT Malaysia 2017 seminar held by the Malaysian Investment Development Authority (MIDA), on the 16th of November at MITI Tower. The seminar, which was co-organised by Intel, was noted as being timely and relevant by the minister, as the world has entered an era of digital transformations. 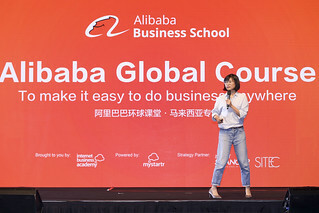 Addressing topics such as the global IoT landscape, successful case studies for IoT, and the readiness of various market segments for IoT, the seminar saw more than 800 attendees. Recognising the challenges that companies go through in the execution of Industry 4.0, particularly in filling the gaps in the country’s IoT ecosystem, the minister sees the need to form strong partnerships between the government, the industry players and all the other stakeholders. 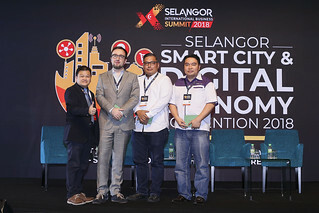 “I encourage more local companies, SMEs and start-up technopreneurs to explore the adoption and implementation of IoT as a means to add value in their products and services as well as to increase productivity and efficiency towards scaling up their businesses,” said the minister, who urged industry players to seize growing opportunities, as IoT holds tremendous potential across multiple sectors. “Industry players need to change the way they do business, to align to emerging IoTs and Industry 4.0 applications,” he added. Incentives; Talent and Human Capital; Technology and Standards, and SMEs. “At this point, as we are riding the industry 4.0 wave, we are ramping up efforts to make Malaysia the leading industrial hub for high technology products and activities in the ASEAN region. Malaysia has good engineering capabilities, a skilled workforce and more importantly, a strong manufacturing base. These create an enabling structure towards materialising this important agenda,” said the minister.